Vision for a Nation has awarded the EYElliance funding of $50,000. 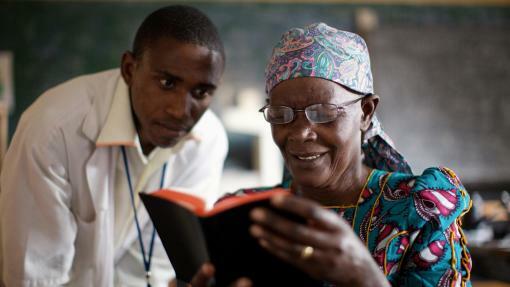 Globally 2.5 billion people with poor vision do not have access to affordable eyeglasses. EYElliance is a coalition of multi-sector public, private, and NGO partners and stakeholders that are collaborating to address the world's unmet need for eyeglasses. In June of this year, the EYElliance will release a report “Eyeglasses for Global Development: Bridging the Visual Divide” published in partnership with the World Economic Forum. Vision for a Nation’s award supports the mission and the action of the EYElliance. This award aligns with Vision for a Nation’s mission to deliver affordable local eye care in select emerging nations, beginning in the east African nation of Rwanda. Since 2012 Vision for a Nation has supported the Government of Rwanda to build a national primary eye care service that is accessible and affordable to all of the country’s 10.5 million people. No other emerging nation has successfully achieved this critical public health goal. In April of this year, Vision for a Nation’s founder, James Chen, launched the Clearly Initiative – a global movement that aims to unlock innovative solutions to solve the unmet need for eye care globally. Tom Rosewall, Vision for a Nation’s CEO, comments: “The impact of simply ‘not being able to see clearly’ negatively impacts all aspects of people’s lives and is a handbrake on personal and national development. Eyeglasses are a proven and cost-effective solution. The EYElliance, together with the Clearly Initiative, have the potential to transform the lives of billions of people by bringing sustained global attention to the issue of poor vision to drive action”.